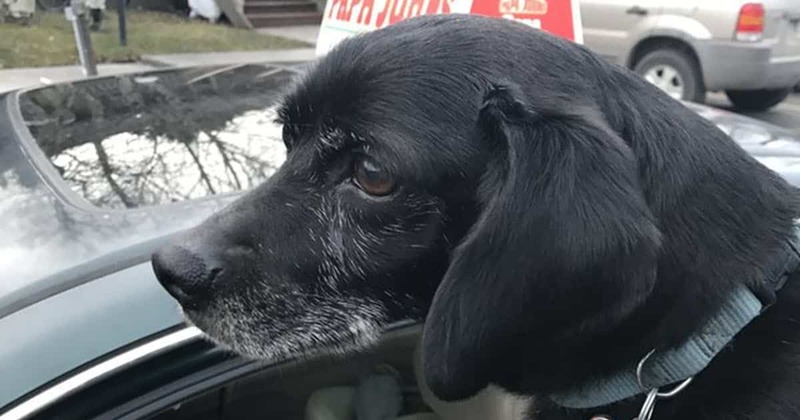 Steven Donovan was delivering pizzas when saw a tiny dog run into the road. 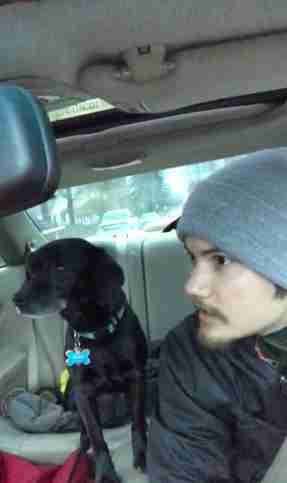 Donovan tracked him down and brought him into the car. 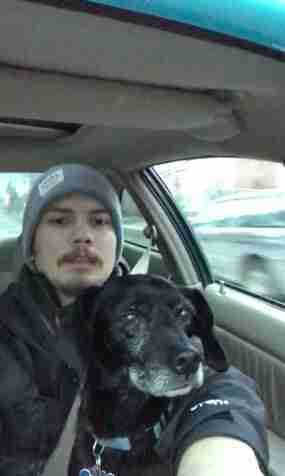 The dog’s name was Mr. Snickers, and he lived a couple of miles from where he was picked up. Donovan was going to bring him home, after he delivered a pizza. 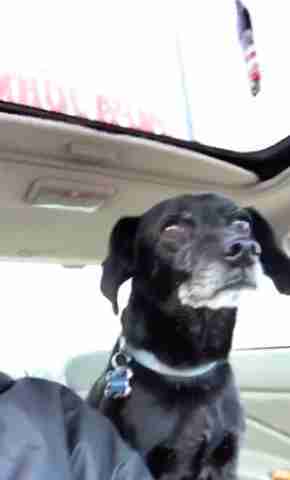 Together they drove to the delivery, and Donovan ran the pizza to the door while Mr. Snickers waited in the car. He explained to the customers why he was late and why he had to go quickly. Instead of being annoyed, they thought it was great. 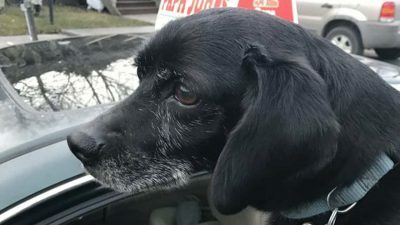 “I told them, ‘I’m sorry your pizza is late; I just had to rescue this dog first,'” Donovan said. Mr. Snickers lived way off the delivery route, but Donovan took him home anyway. 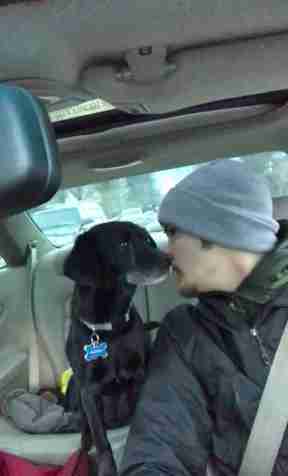 He knew he could get in trouble, but helping Mr. Snickers was more important. As soon as they entered the neighborhood, Mr. Snickers knew exactly where he was. He became very excited. “He perked up and noticed this was his neighborhood, and he was wagging his tail and getting all excited,” Donovan said. It turned out Mr. Snickers owner had moved, and his tag still had the old address on it. 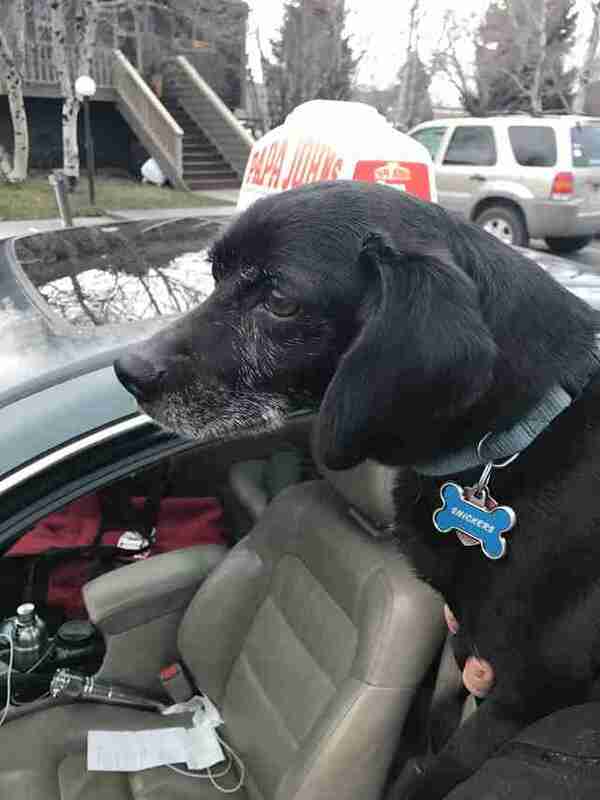 Donovan met some of his old neighbors who said they would take Mr. Snickers to his new home. It’s possible Mr. Snickers got out and tried to return to his old home. Fortunately, he is now off the streets thanks to the nicest pizza delivery man ever.